Saving money on flights is an art form, and to be Picasso, you need the right tools. Your standard big-name search engines -- the Orbitzs, Kayaks, and Expedias of the world -- all work, ya know, fine. But you wind up spending a hell of a long time on the hunt for cheap fares, only to be served up prices that don’t vary much more than a few bucks. Now obviously you could throw a rock and hit 100 travel apps and websites, but a select handful are really, truly, legitimately the best for finding cheap and unusual airfares. Here are nine that cash-saving savants use with repeated success. In addition to our network of globe-trotting writers and adventurers, we hit up Elona Karafin, who's mastered the art of the affordable long weekend, wedging trips to Bali, Dubai, and Lisbon over the past year (documenting it all on her Instagram, natch). We also got tips from Stephanie Be, a “professional traveler” who’s hopped to over 205 destinations in the past five years alone. We got some dang good recs to help you find your next mega-cheap flight. Coolest feature: Layover requests. If you want to see another city for a day on your way to your final destination, you can search for flights with layovers in specific places. “Say you want to fly to Thailand, with a layover in Hong Kong,” Karafin explains. “Sometimes it’s cheaper to layover in, say Singapore, and you don’t know that. But The Flight Deal will show you those kinds of deals exist.” It’s one of the few search engines that allows you to pick where you want to layover, and allows you to compare layovers in different cities if you don’t have your heart set on a specific place. The site also has a newsletter customized to your home airport that sends the best deals. We love the Hopper app because it gives us a heads up about which cities around the world will have dropping airfares in the coming month. It does this with maddening levels of research, analyzing price data from millions of flights to figure out what’ll be cheap in the coming weeks. You can sign up for alerts for your chosen dates and destination, and Hopper lets you know when prices are dropping and whether to book now or wait longer. Coolest feature: The industrial-fishing-boat-sized net it casts over the world, using over 600 sources to find flights -- about triple what traditional search engines use. Momondo is the internet’s friendly guy on the corner directing tourists around a city and asking for nothing in return. The site actually doesn’t sell anything, and has no affiliation with airlines or other travel partners. Out of its altruistic heart it searches tiny regional airlines, international budget carriers, and other small outlets the big boys don’t. Then it comes up with the cheapest fares a staggering 95% of the time. You can’t book through Momondo, but it does give you a handy booking link. Karafin says she finds flights $10-15 cheaper there on average. 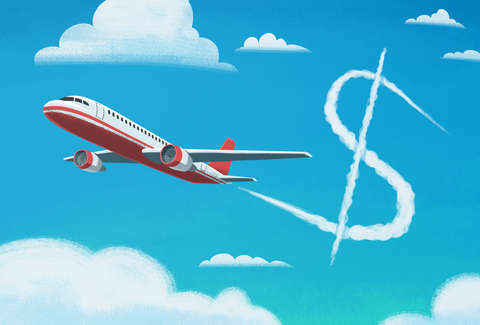 Coolest feature: Finding airfare loopholes, including “hidden cities flights,” when you book a ticket with a connection in your final destination, and just ditch the back half of that flight. In the Wonka Land that is airfare pricing, it’s often cheaper. Aktarer Zaman, who developed the technology behind Skiplagged, was actually sued by United Airlines at age 22 for exposing their ludicrous pricing schemes, where a flight from Miami to LA with a stop in Chicago was cheaper than a nonstop from MIA to O’Hare. The suit was thrown out, and the era of “hidden city’ flight shopping was born. Airlines hate it, and if you’re checking a bag or trying to rack up frequent flier miles, it won’t work. But on some routes, savings can literally be hundreds of dollars. Coolest feature: Their money-saving coupons. “Just now I searched ‘StudentUniverse coupons’ online and found coupons for $50 off airfare. And it works,” Karafin told us on the phone. Studentuniverse also has an app that offers coupons for specific destinations, price points, and periods of travel. No, you do not need to be a student to use Studentuniverse -- but you do have to be between 18 and 25 to book through the site. If you are under 25 (and yes, they do ask for ID) the deals here can’t be beat -- especially for travel to Europe, according to Karafin. The company buys in bulk and has flight, hotel, and tour deals that are no longer available through other outlets. Coolest feature: Google’s famous “I’m Feeling Lucky” button. Tell Google where you want to depart from, then pick a region on a map (say, South America) and Google will pick a destination for you based on your search history. Creepy? Sure. But Google offsets the creepiness by showing you when flights there will be cheapest. To find flights, Google uses the same software as Orbitz or Kayak, but at blazing Google speed. Also, like most Google products, it’s user-friendly, offering stuff like maps that show airfares to different destinations in a region, and monthly calendars with prices listed on each date. It also automatically suggests other airports and travel dates that can save you money, and has a “best deal” feature that factors in price and trip duration. For the indecisive, flexible traveler who just wants to get the hell out of dodge, there may be no better site or app than Fareness. If your only criteria are mountains, by gosh, it’ll tell you the cheapest places to go with mountains. If you’re dead set on going to Portugal but don’t really care when, it’ll show you flight prices for months out. And say you’re sick of the staring at the same four walls and need to get out of the city, it’ll show you the best options for a last-minute weekend trip from your hometown. Coolest feature: You can curate which specific airports you want to be notified about for flight deals. A few years ago, American hero Scott Keyes started tracking “mistake fares” -- ridiculously cheap airfares as a result of airline booking screw-ups, some of them as dumb as missing zeros or misplaced decimal points. He started an email newsletter to share with his friends the bonkers-cheap flights he was finding, and that newsletter grew into an empire. 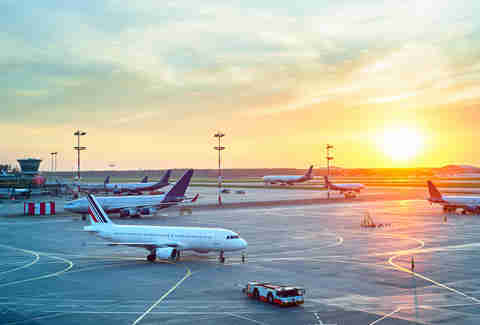 Today, more than half a million subscribers eagerly await notice from Scott’s team whenever they come across inordinately cheap flights, along with instructions about how and when to book. He’s saved people more than $1 million and counting. There’s a free version, as well as a Premium subscription service available for $39 annually. And although this is an email newsletter, it is blessedly not a spammy one since Scott doesn’t get any commissions from the airlines, and is therefore not beholden to their PR people.